For more than a decade, LawPay has helped attorneys get paid easily and securely, and 39 percent faster! Our online solution was developed specifically to meet the needs of today’s legal professionals. It correctly separates earned and unearned fees, protects IOLTA accounts, and provides PCI Level 1 security. With LawPay, your clients get the simple payment experience they want and expect and you get more of what you earn. 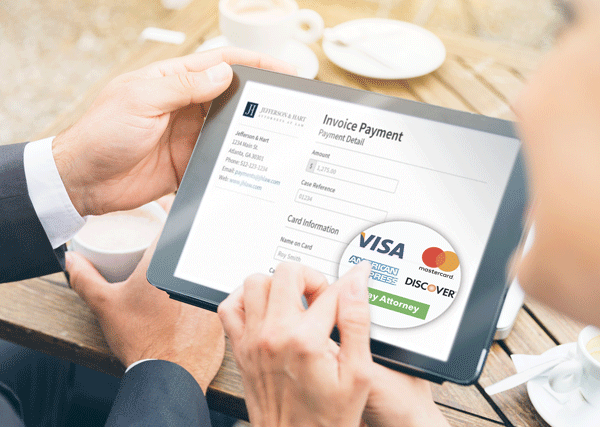 Download our solution brochure to learn why LawPay is vetted and approved by 48 state bars, trusted by more than 50,000 attorneys, and the only payment solution offered through the ABA Advantage program.